The most crucial skill you must have as an options trader is the ability to read the graph on your trading account and forecasting price movements. 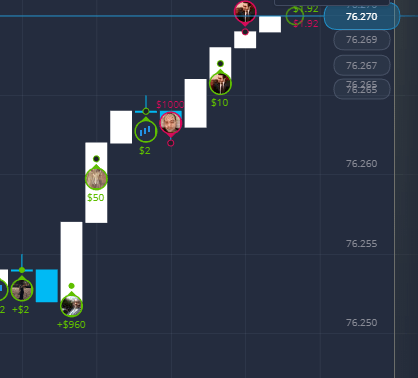 The ExpertOption platform makes this easier by providing several technical analysis tools. This guide will teach you the basics of technical analysis. So why is understanding the period of transaction important with regard to technical analysis? A Recap, What Is Technical Analysis? But how do you anticipate trend reversal? Technical analysis involves applying previous and current price signals to predict future asset price movements. Many times, you’ll notice that current asset price trends are almost similar to past trends. With this knowledge, you can be in a position to predict future trends. The trends are always charted on a graph. On this graph, the vertical axis represents the price of the asset. The horizontal axis on the other hand represents time. It’s therefore easy to drag the graph from left to right, moving back in time to analyze past trends. Moving back in time allows you to spot trends that tend to repeat themselves. For example, you might notice that the price adopts an uptrend an hour after the markets open every Tuesday and Wednesday. With this information, you can enter into profitable buy positions every Tuesday and Wednesday around an hour after markets open. Of course, your goal should be identifying trends that repeatedly occur throughout your trading day in order to maximize your profits. Price movements on the graph are displayed in the form of charts. ExpertOption provides several charts. Let’s look at the three basic ones. This is a single line that tracks an asset’s price movements in real time. The line graph moves from the left of your screen towards the right. Below is an image of a typical line graph. These are transaction bars. Each bar displays three types of information. The first is the opening price of the asset, the maximum and minimum price the asset sold for during the trading session and, the closing price of the asset. Below is an image of a typical bar graph. Candlestick charts display similar information as bar charts. However, they are simpler to read. The candlestick consists of a rectangular bar with two candlesticks on either end. 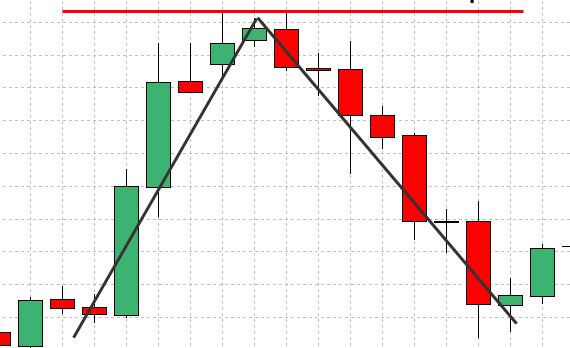 Below is an image of candlestick charts. Once you understand how the three basic charts look like, another important feature of technical analysis to learn about is the period of transaction. This marks the time between trade entry and trade exit. At trade entry will be the opening price while at trade exit will be the closing price. Period of transaction can be anything from a minute to one month. On the ExpertOption platform, you can easily change the period of transaction as you wish. READ ExpertOption review –the best binary options trading platform? sure to exit the trade before trend reversal. Price fluctuations follow a trend and price changes will always move either up or down. So you can only identify a trend when the price starts shifting in an upward or downward direction. If an assets price starts moving in one direction, expect that it will continue moving in that direction until it reverses. History repeats itself. This is the reason why studying data on an asset’s previous price movements is important. Generally, every assets price movements will exhibit recurring patterns. If you’re able to identify them, it gets easier to predict and profit from them. This rule is especially important when dealing with volatile markets. If you can be able to identify recurring trends that develop when markets are volatile, you can easily make profitable trades where most traders would lose money. The price of an asset is affected by many underlying factors. These include political, socio-economic and natural factors. It’s therefore important that you stay informed about any factors which might affect the price of the assets you’re trading in. Understanding the basics of technical analysis gives you an advantage when you’re trying to forecast future price movements. The information gained from technical analysis can mean the difference between constantly making profits regardless of market conditions and suffering losses every time you open position. This information will allow you to accurately forecast price movements and determine when it’s best to enter and exit trades. As you build on this knowledge, you will now be able to adopt and apply more sophisticated price conversion models to improve on your forecasting accuracy. Technical analysis is both a science and art. It involves continuously acquiring knowledge about the markets and using it to increase your odds of making money every time you open a trade. do you extract this data from the graphs and charts at your disposal? In the technical analysis guide, you learned that price fluctuations follow a trend and price movements follow either an upward or downward direction. This consistent upward or downward price movement is called a trend. From the image above, you’ll notice that the trend takes an upward direction. Also, the trend consists of sporadic huge price increases (identifiable by long white candles) followed by smaller trend reversals (long blue candles). But overall, the price movement is in an upward direction. Uptrends occur where the highest price in one session is lower than the lowest price in the session that comes after it. Bearish trend occurs where the highest price of a trading session is higher than the highest price of the previous trading session. Downward trend occurs where the highest price in a trading session is lower than the lowest price of the preceding session. 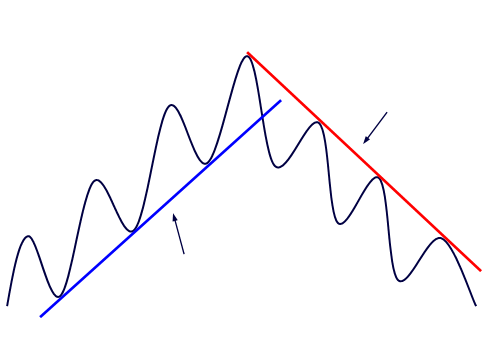 Flat or horizontal trend occurs where price movement doesn’t take one particular direction. Here, the prices across sessions remain more or less the same. When trading binary options, working with short term trends is recommended. These are typically trends that develop over a period not exceeding 30 minutes. However, it’s also advisable to start your technical analysis by studying trends that develop over 60 or 120 minute time intervals. Then after this, look for shorter trends that occur within a few minutes to 30 minutes. It involves identifying two important price points along the trendline. These are the support and the resistance levels. support line on a downward trend, it’s very likely to level out and reverse. The resistance on the other hand is the highest your asset trades for during a trading session. During an uptrend, price movements are expected to reverse when they hit the resistance line. Start with a candlestick graph. 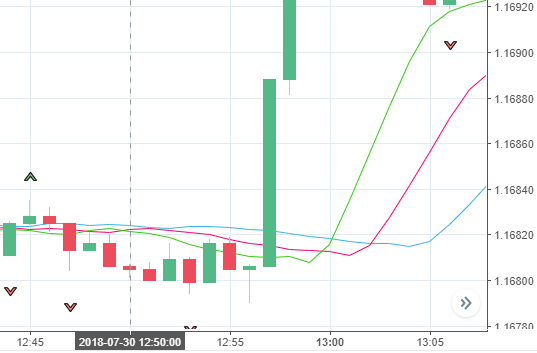 The reason for this is that candlesticks will show you the exact high and low prices at a specific session through their pointed candlesticks. 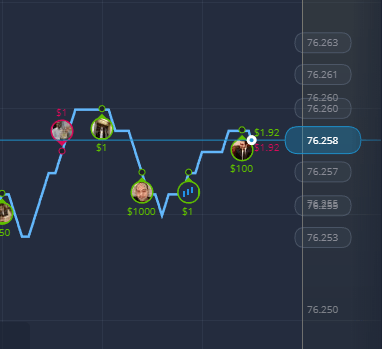 Using your line drawing tool draw a straight line connecting the lowest price points along the chart. Do the same for the highest price points. Both lines should be parallel to each other. You should not that it’s not possible for each line to touch all high/low price points along the trend. What you want is two parallel lines that tough the most high/low price points. The space between your two parallel lines is called the canal. This represents about 95% of your asset’s price deviations. That is, the average price represented by the canal width. 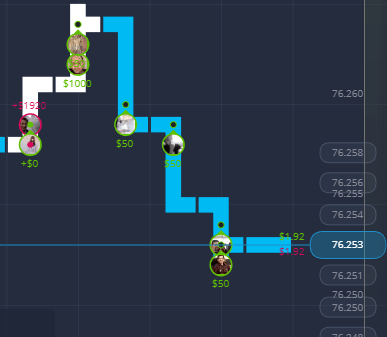 For example, if the canal width is 1.3656 and you place a buy at $2.477, your strike price should not exceed 3.8426. 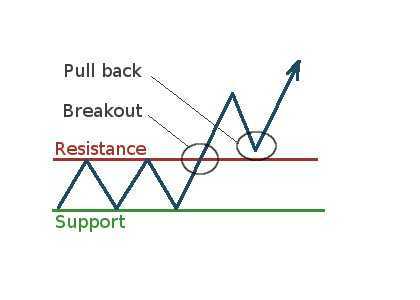 This method isn’t the only way you can identify support and resistance levels. Another way involves looking at the assets past maximum and minimum prices. Using our history repeats itself’ rule, it’s very unlikely that future prices will exceed these price points. Finally, you can also decide to use the principle of round’ money. That is, if you have the option to place your resistance at $16,500 and $16,000 placing it at the lower round value is advisable. Then, place your support at $17,000. to identify trends and trade limits to apply during your trading sessions. The Alligator indicator is one of my favorite trading tools. Not just because of its cool name but also how it operates. This indicator was introduced by Bill Williams, a successful investor and author of the book Chaos Theory. This indicator was created to mirror the behavior of the animal it’s named after. It’s aggressive when it opens its mouth and subdued when sleeping. Traders using this indicator trade aggressively when the mouth opens and avoid trading when it sleeps. Let’s have a closer look about how this indicator works. The Alligator’s jaw is represented by a 13 period moving average (SMMA). This is based on the average of the bar graphs. This is shifted to 8 bar graphs. The Alligators teeth are represented by an 8 period SMMA based on average prices and shifted to 5 bar graphs. The Alligators lips are represented by a 5 period SMMA based on average prices and shifted to 3 bar graphs. Below is an image showing you how Alligator indicators are set in the ExpertOption platform. 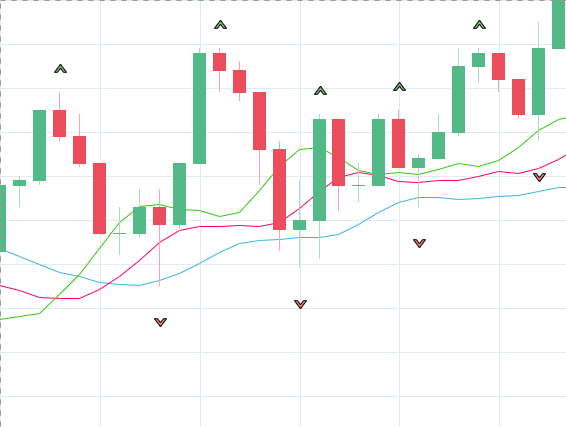 One of the reasons why many traders prefer the Alligator indicator over traditional moving average indicators is its ability to remove false signals. Traditional MA indicators are often susceptible to false signals often resulting in getting in or out of position too early or too late. The Alligator indicator goes through a ake up’ cycle which we’ll look at next. As mentioned at the start of this guide, it’s recommended that you only trade when the Alligator opens its mouth. As with traditional moving average indicators, placing a buy or put depends on the direction of the trend. This occurs when all three SMMA lines are crossing each other as well as cutting through the price line. Here, the markets are stagnant with little activity. There’s no clear trend. This occurs when all three SMMA lines run under or above the price chart, it’s time to enter the market. If they’re running above the chart sell, if running under buy. The Alligator indicator was created to help traders eliminate guesswork where trends aren’t clearly apparent. It’s an advanced trading tool compared to traditional MA indicators. However, if you understand the basics discussed in this guide, you should be able to apply this indicator and trade profitably.